Melanie’s dedication to her clients impressed us. Bucks County family law firm Williams Family Law, P.C. 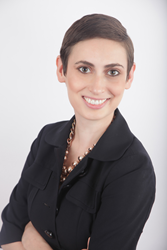 is pleased to announce that family law attorney Melanie J. Wender has joined the firm as an associate. Wender concentrates her practice on all aspects of Pennsylvania divorce and family law in Bucks, Montgomery, and Philadelphia counties. She is licensed to practice in Pennsylvania and New Jersey. “Melanie’s dedication to her clients impressed us, and we knew that our clients would benefit from her commitment to excellence,” said Founder and Managing Partner Jeffrey M. Williams. “We are exceedingly pleased to welcome her to our team,” said Partner Susan J. Smith. Prior to joining Williams Family Law, Wender served as an associate with Cooley & Handy Attorneys at Law, PLLC, where she represented clients in divorce, custody, and spousal /child support matters, drafted property settlement agreements, and negotiated settlement agreements for various complex marital law matters. Wender began her career as a law clerk with Philadelphia family law firm Berner Klaw & Watson LLP, where she represented clients in Philadelphia, Bucks and Montgomery counties in Pennsylvania divorce, support, and custody matters. She then served as contracts counsel for a major insurer, drafting and revising confidentiality agreements and contracts. A graduate of Villanova University School of Law, Wender served as the Environmental Hearing Board Editor for the Villanova Environmental Law Journal and Managing Editor of the Journal of Catholic Social Thought. She also participated in Villanova’s Civil Justice Clinic, a law office staffed by students. Her work there was recognized with the Joseph R. Wenk Award, which is presented to the graduating student who has made the greatest contribution to the clinic. Wender volunteers regularly to represent applicants for Protection from Abuse actions in Bucks County court, and represents abused and neglected children on behalf of the Montgomery Child Advocacy Project. She also volunteers time for the Mazzoni Center, which provides health care and legal services to members of the LGBT community. A resident of Glenside, she holds a bachelor’s degree from Kenyon College, in Gambier, Ohio, and is a member of the Bucks County Bar Association and the Pennsylvania Bar Association. To learn more, please visit our website. Williams Family Law, P.C. – Williams Family Law, P.C., is a premier family law firm based in Bucks County, Pa. The firm provides individuals with matrimonial and family law legal counsel and representation in alimony, child support, child custody, divorce, cohabitation, grandparents’ custody rights, equitable distribution, marital settlement agreements, prenuptial and postnuptial agreements, separation agreements, spousal support, matrimonial taxation issues and related legal matters. The family law attorneys also provide guidance and representation in alternative dispute resolution forums, handling mediation, arbitration and custody dispute resolution. The practice at Williams Family Law centers on four core principles: experienced guidance, compassionate advice, powerful advocacy and knowledge of the local courts and counsel. The firm prides itself on leadership within the profession and a strong record of success.